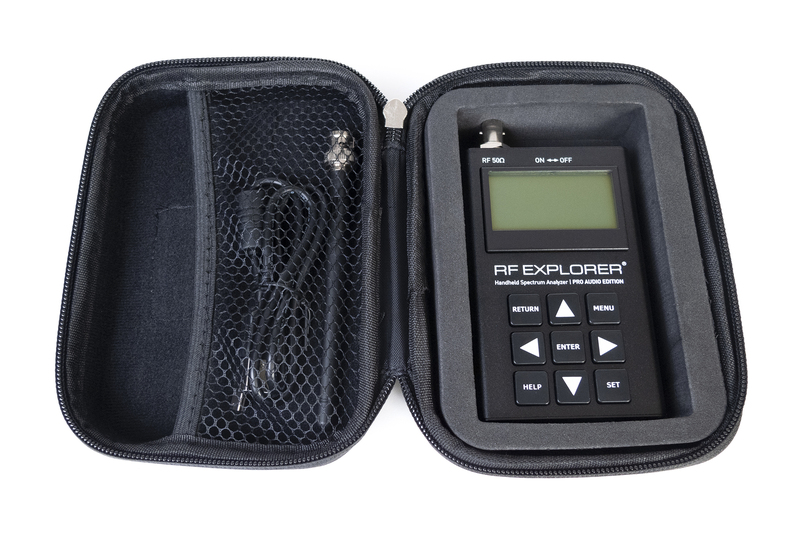 The RF Explorer® Pro Audio Edition is an all-new portable RF spectrum analyzer designed specifically for use with wireless microphones and in-ear monitor systems. Available exclusively through RF Venue dealers and distributors, the RF Explorer Pro Audio Edition is the perfect addition to any audio pro's toolkit. With a 50 ohm BNC input connector designed to interface directly with wireless audio systems and accessories such as remote antennas, antenna distribution systems, or RF over fiber modules, the Pro Audio Edition spectrum analyzer is the ideal tool to troubleshoot, optimize, and commission your next wireless system. Compatible with RF Venue's Vantage Mac OSX software as well as multiple PC applications, the Pro Audio Edition comes packed with a range of new features. 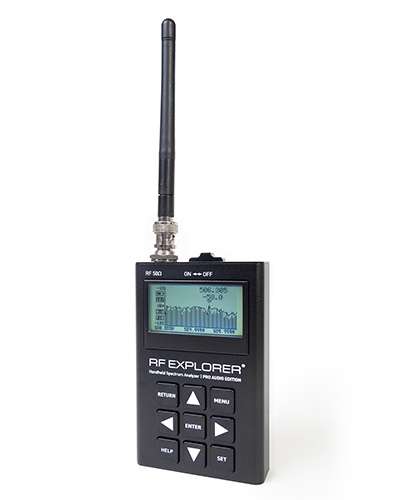 The RF Explorer Pro Audio Edition’s easy-to use interface takes the complexity out of RF spectrum analysis for audio, empowering audio engineers and wireless audio system managers to better monitor, manage, and configure their systems in today's ever-changing RF spectrum landscape. 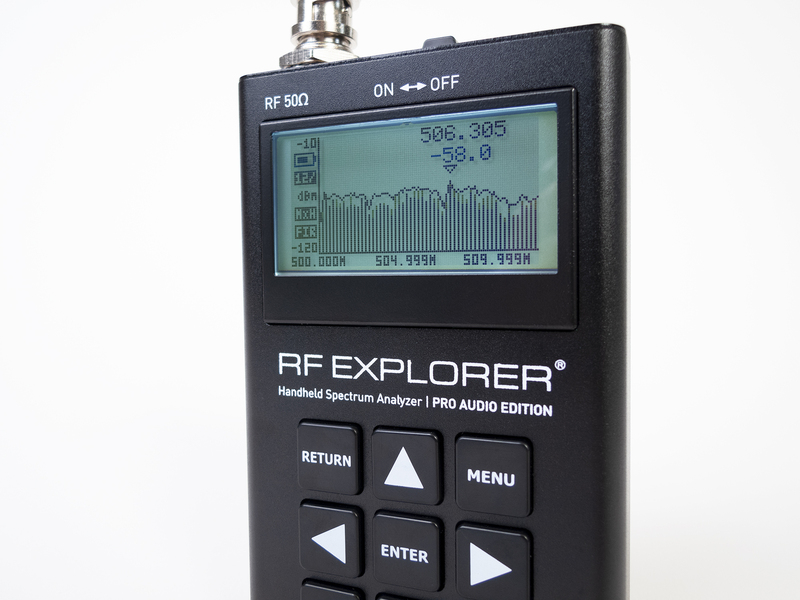 How does the RF Explorer Pro Audio Edition compare to the other RF Explorer devices? 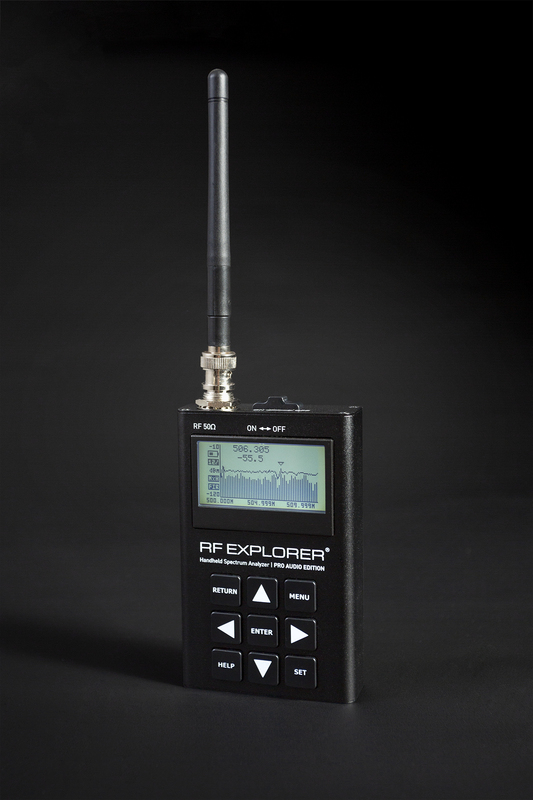 The RF Explorer Pro Audio Edition is most similar to the newest RF Explorer "WSUB1G+" model, but with an expanded scanning capability of 15-2700 MHz (from 240-960 MHz) and also adds WiFi Analyzer mode to examine WiFi channels. The low noise amplifier, onboard attenutator, contextual help function, and presets are the same. From a physical standpoint, the Pro Audio Edition is designed to interface directly with wireless audio systems with its 50 Ohm BNC input connector, which is not available on any other RF Explorer device.